Allscripts Recruitment 2019: Allscripts Healthcare Solutions released a notification to recruit Freshers For the role of Allscripts Associate Software Engineer this year. So, the candidates looking for Jobs In Baroda can grab the opportunity. Students having B.E, B.Tech Degree are eligible for this role. Also, candidates having 2 years of experience are eligible. The detailed information such as Allscripts Eligibility Criteria and the application process are given in this article. Moreover, you can get complete Job Description from this page. 1.4 Process To Apply For Allscripts Recruitment 2019? Candidates applying for Allscripts Recruitment 2019 should follow below given points. And those who satisfy the given Allscripts Eligibility Criteria 2019 can only hold the eligibility. 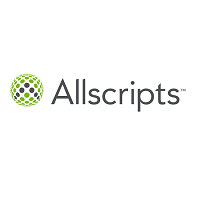 Allscripts Healthcare Solutions, Inc. is a publicly traded American company that provides physician practices, hospitals, and other healthcare providers with practice management and electronic health record technology. Allscripts was founded in 1986 and is headquartered in Chicago, Illinois. An additional key operations office is located in Raleigh, North Carolina. Allscripts also provides solutions for patient engagement and care coordination, as well as financial and analytics technology. The company has more than 180,000 physician users and has solutions in 2,700 hospitals and 13,000 extended care organizations. Allscripts merged with the healthcare systems operations of a rival, Misys. In 2010, Allscripts-Misys merged with another major healthcare information technology competitor, Eclipsys. In March 2013, Allscripts acquired dbMotion, Ltd., a supplier of community health solutions and Jardogs LLC, a patient engagement solution provider, both privately held. Coding, Testing, Documentation in the areas of Development and Maintenance should be performed. Should have the idea on Production, preparation, and execution of unit test plans. Production of efficient and fully documented code. Should compile all necessary software and nonsoftware components in the timescales as defined by the Project Manager. Quality and adherence to Company Standards. Process To Apply For Allscripts Recruitment 2019? Eligible candidates can directly click on the link given below. So that, you can apply for the Allscripts Associate Software Engineer Jobs In Baroda. Furthermore, you can easily know the current updates from our portal. Hope you got all the required information as well as complete details about the Allscripts Associate Software Engineer Jobs. Moreover, you need to bookmark our website www.freshersnow.com for Latest Updates of Jobs In Baroda. Furthermore, don’t forget to leave a comment and please do refer the information to your friends.